The Federal Railway Authority (EBA) has given the go ahead for Alstom’s Coradia iLint to enter passenger service on Germany’s railways. EBA president Gerald Hörster presented the train maker with the certificate of homologation at the Federal Ministry of Transport and Infrastructure, Berlin, on July 11. 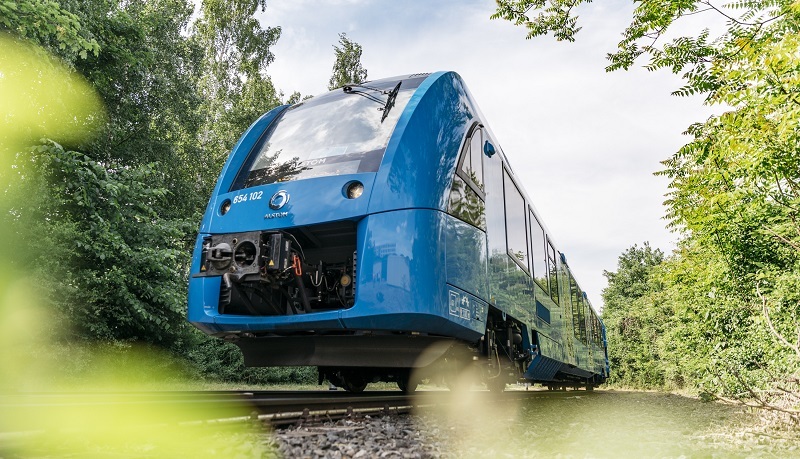 Alstom signed a contract with the transport authority of Lower Saxony (LNVG) for 14 of the hydrogen fuel cell passenger trains, as well as 30 years of maintenance and energy supply, in November 2017. Following approval by EBA, prototype Coradia iLints will now enter pilot operation on the Elbe-Weser network. Passenger service is scheduled for late summer. German rail minister Enak Ferlemann, who was at the homologation ceremony, said: “This is a strong sign of the mobility of the future. “Hydrogen is a true low-emission and efficient alternative to diesel. Especially on secondary lines, where overhead lines are uneconomic or not yet available, these trains are a clean and environmentally friendly option. Alstom vice-president of research, development and innovation Wolfram Schwab added: “This approval is a major milestone for the Coradia iLint and a decisive step towards clean and future-oriented mobility.